Congratulations to PSKC competitors at Young’s Tournament on April 8th! Master Young awarded PSKC with the Team Trophy for accumulating the most points in Kata, Sparring and Breaking events. 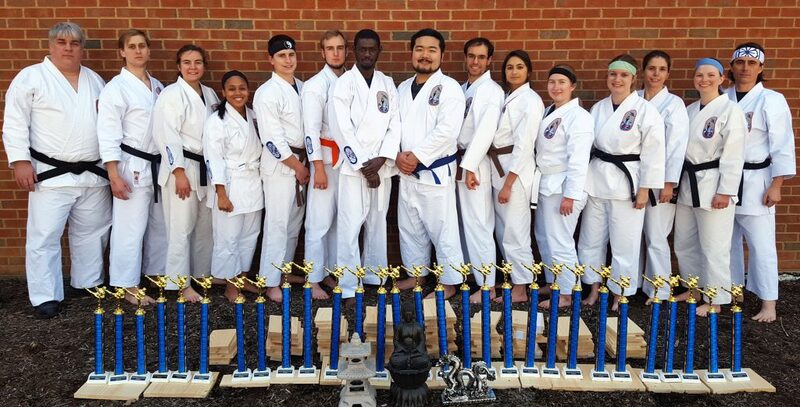 Three PSKC Black Belts won first places in their divisions and competed in the Grand Championship events, achieving Grand Champion in Men’s and Women’s Black Belt Sparring. This entry was posted in Announcements on April 10, 2017 by Sensei Koszarsky.